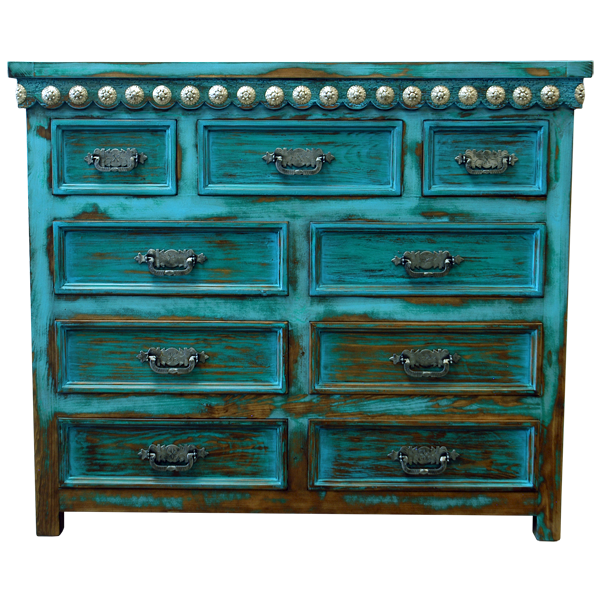 With its antique, turquoise colored finish and its brilliant, silver finished conchos, this handcrafted Western style dresser is essential to your Western décor. 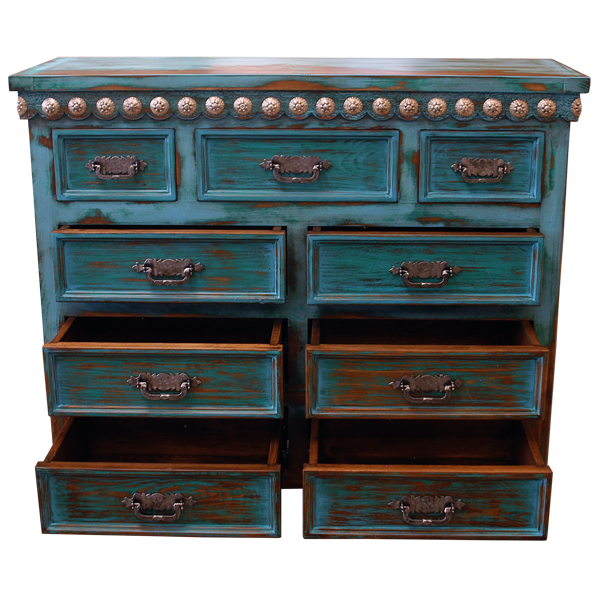 The dresser has an open, wide top, with a classic, straight top rim, and the area directly below the top rim is adorned with hand forged, sliver finished, iron conchos. 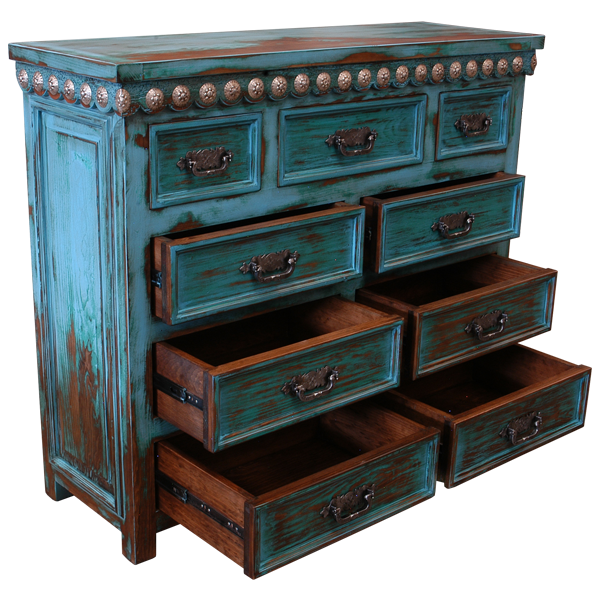 The dresser has nine, spacious, rectangular, drawers, and the top three drawers are the smallest. Centered in each drawer is a sliver finished, hand forged, iron handle. 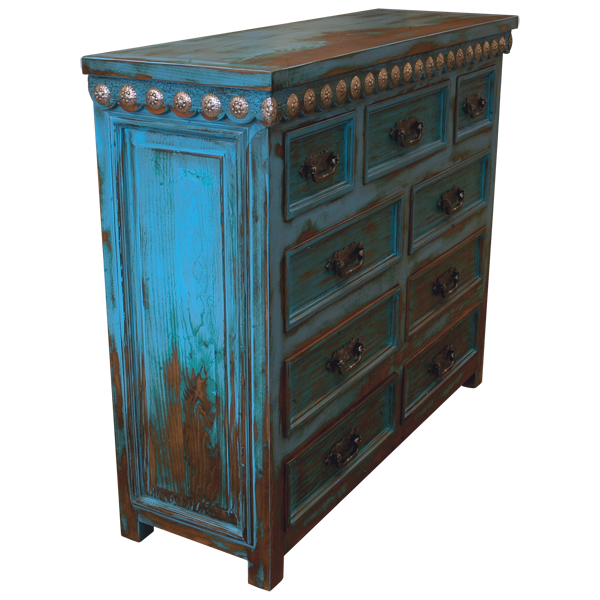 Each side of the dresser is embellished with a decorative, rectangular cut panel, and the dresser rest on straight, wood feet. Made with the best, sustainable, solid wood available, it is 100% customizable.